Kennolyn is famous for having great food! 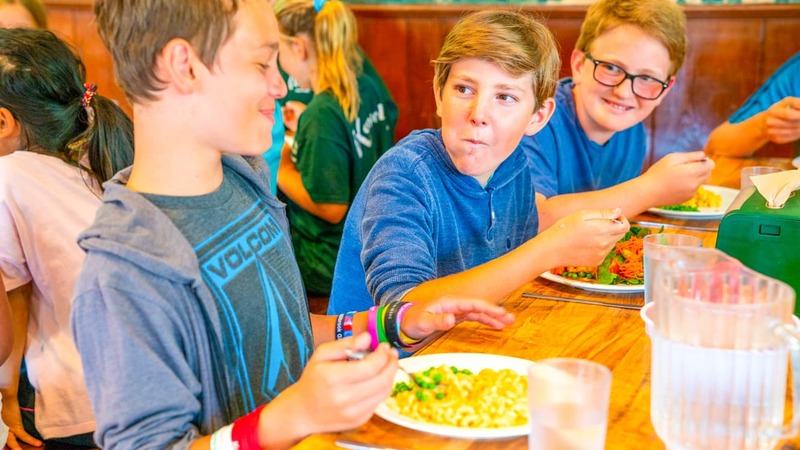 Three hearty, delicious and plentiful meals are served daily in the Caldwell Lodge, where cabin families sit together with their counselors. Unless, of course, we are eating outside as part of Outpost or a special program. Our outdoor “Chuckwagon Breakfast” is a highlight. Who doesn’t like flying pancakes?! It’s not just campers who return year after year. 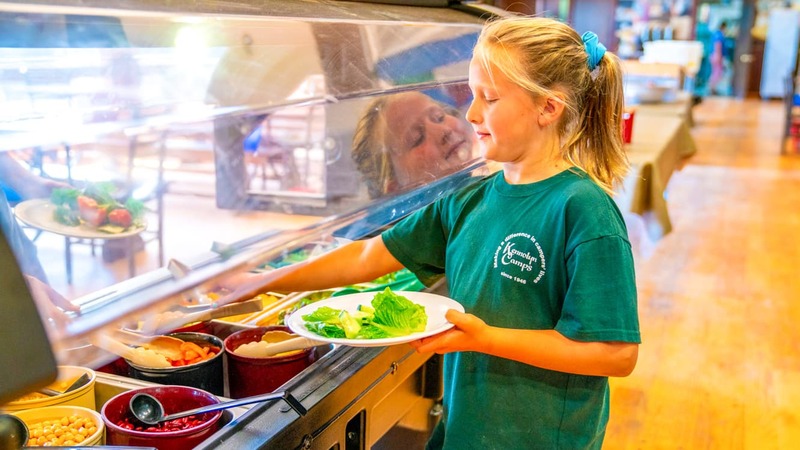 Our kitchen is staffed by chefs and helpers from around the world, many of whom come back each summer to prepare nutritious and tasty food for our campers and staff. Our menu has something for everyone, and includes many options, vegetarian choices and overflowing salad bars at lunch and dinner. 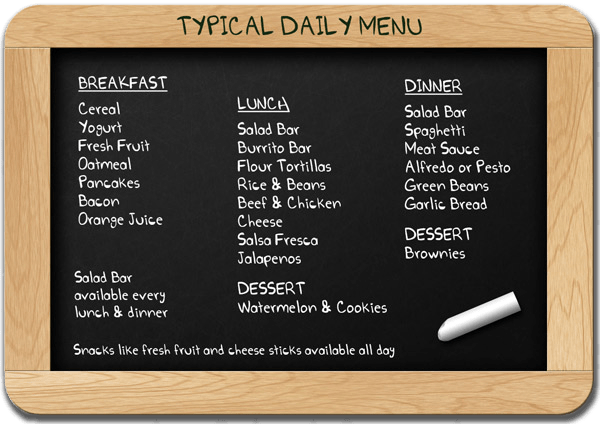 Please let us know if your camper has special dietary needs or allergies. Because of the wide variety of allergies and dietary restrictions faced by our campers, it is hard to offer a comprehensive guide here to our ability to accommodate for allergies. We welcome your inquiry if you have any concerns or if you would like to discuss your camper’s specific needs. We do offer vegetarian, vegan, and gluten free options but we do appreciate advanced notice of these requirements.